While I was still at SAGA Press, I was handed a very challenging series to work on. 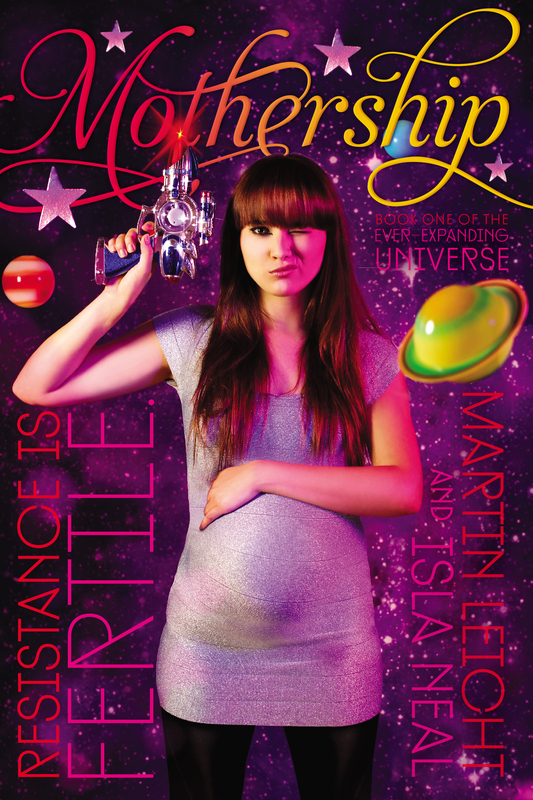 This series is best described as Juno meets The Hitchhiker’s Guide to the Galaxy. 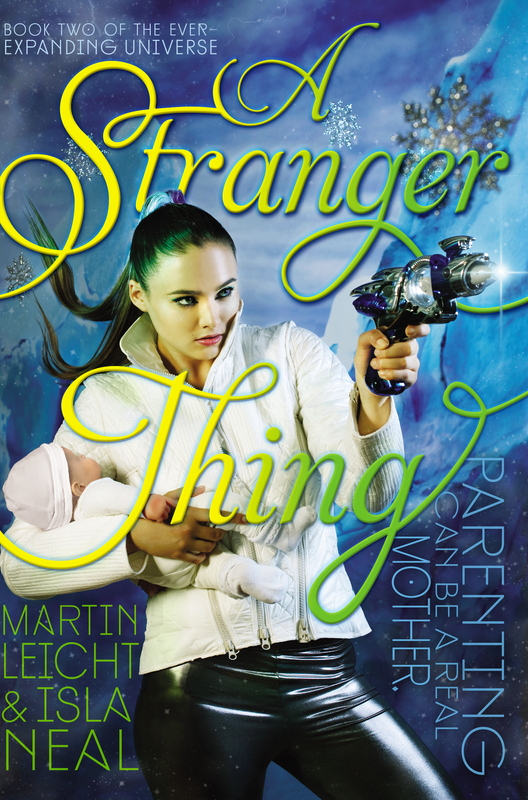 It’s a sassy tongue-in -cheek story of a pregnant teen in space fighting aliens. 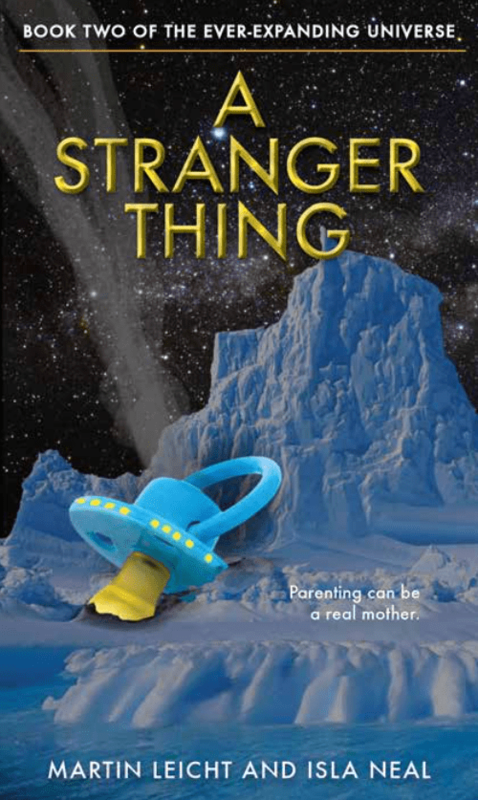 By the second book, the baby is born and with it comes a slew of other storylines. To further complicate things, this series was already being published by Simon & Schuster as Young Adult titles with designs strongly appealing to a female market. One more complication, it was already redesigned once due to a shift in marketing plans sometime in the series’ past. Rather than finding the right artist for the job, I actually spent time thinking conceptually after reading a good portion of the books. 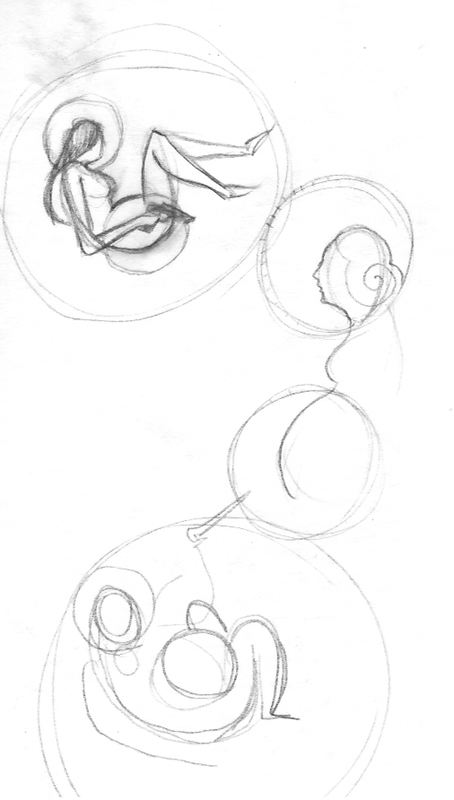 I got pencil down on paper and began exploring ideas. How do you pull these themes together so that they are visually interesting and stay true to the story? There is a fine line between showing just enough to intrigue a reader and throwing so much at them in one cover that they just can’t begin to understand it. 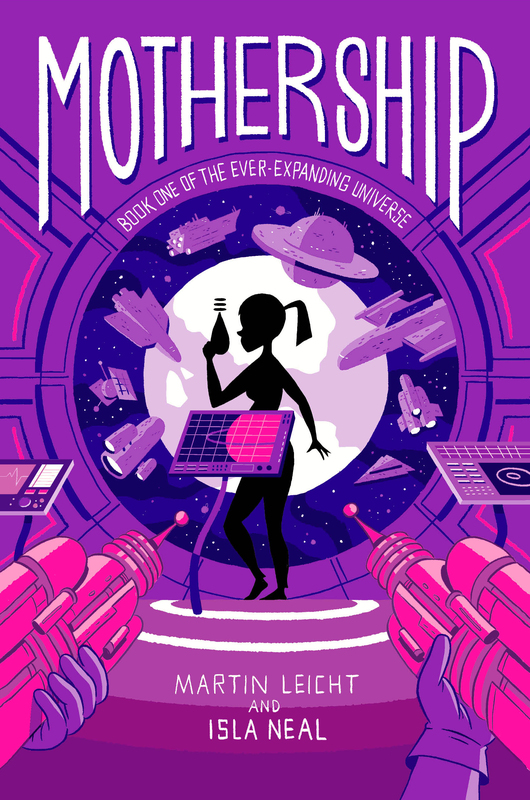 The book’s title, Mothership, is a play on two ideas: the actual spacecraft the story takes place in as well as the protagonist as she has become a vessel for her own precious cargo. Thinking this way led to the baby bump as planet with a rising sun as we’ve seen in so many sci-fi movies. At second glance, we see the mother’s hand on her belly and get the joke. But, she’s also taking on a big fight against aliens. The belly shot is too tame. I had my concerns about showing a baby and some sort of weapon in the same image. Editorially, that sort of thing works great as it gets immediate attention. From a marketing point of view, that same attention could be disastrous. 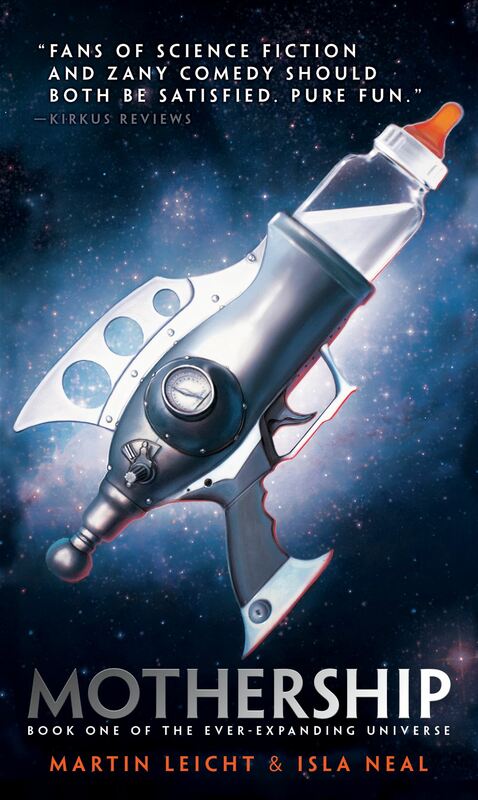 The laser gun is campy enough to take out any real threat to modern life as we know it, but still conveys the idea that this is a weapon and there is some sort of fight. 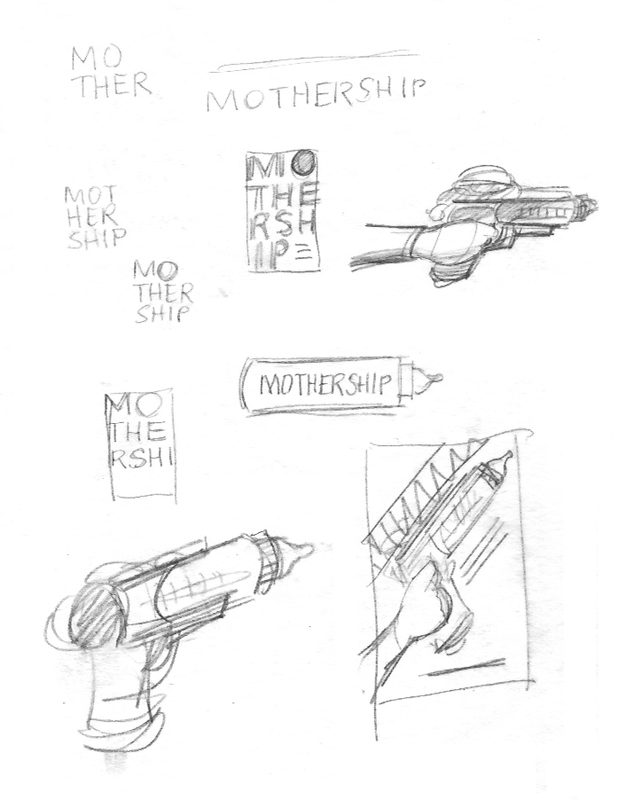 The more I drew these laser guns, the more toylike they were becoming and eventually, using a baby bottle/laser gun hybrid just made sense. 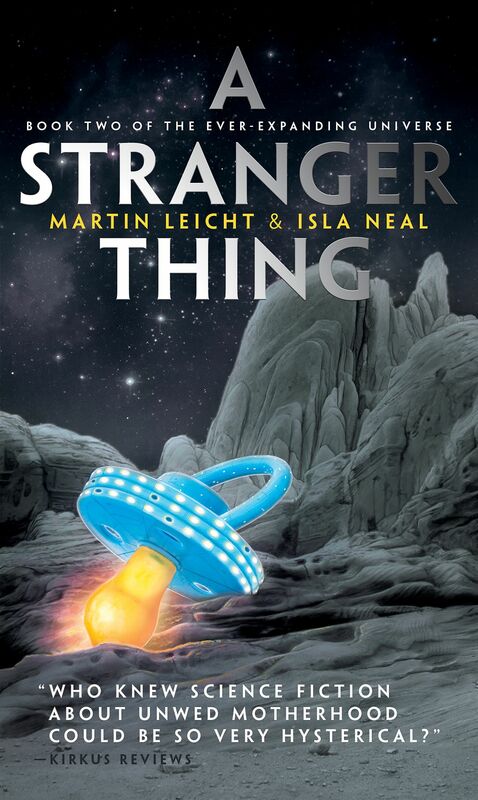 Once I realized the potential for using imagery symbolic of babies, the second book’s idea of a pacifier looking like a ufo crash landing came to me instantly. As these ideas developed and I ultimately received approval to move to the next step, finding an illustrator to execute the cover art based on my comps was easy.